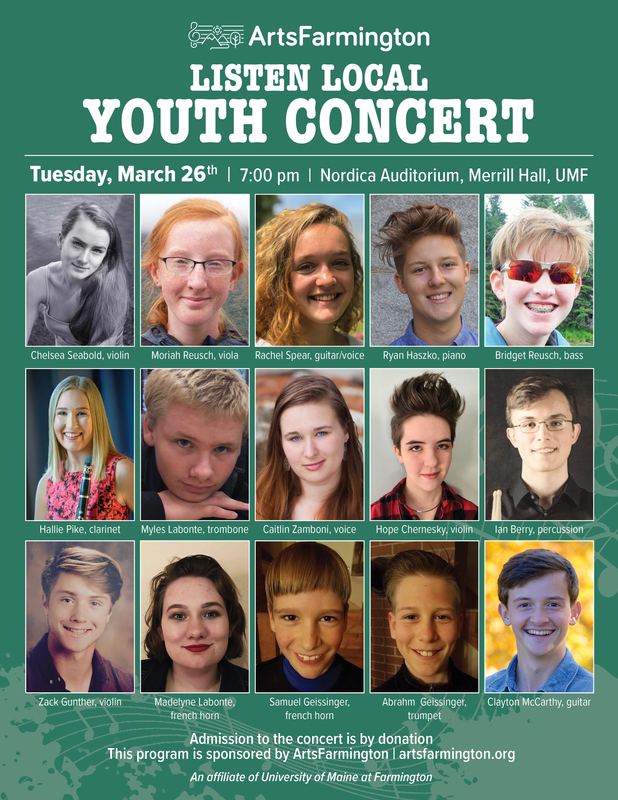 FARMINGTON - ArtsFarmington will be presenting another Youth Concert on March 26 at 7 p.m. in Nordica Auditorium in Merrill Hall at the Univ. of Maine at Farmington. It will feature talented young musicians from the Farmington and Jay/Livermore Falls areas. Admission will be by donation. From the Farmington area will be Chelsea Seabold, violin; Moriah and Bridget Reusch, viola and bass; Rachel Spear, guitar/voice; Ryan Haszko, piano; Caitlin Zamboni, voice; Hope Chernesky, violin; Ian Berry, percussion; Zack Gunther, violin; and Clayton McCarthy, guitar. From Jay/Livermore Falls are Myles and Madeline Labonte, trombone and french horn; Samuel and Abrahm Geissinger, french horn and trumpet; and Hallie Pike, clarinet. Accompanying some of the performers will be Patricia Hayden on piano. To learn more about ArtsFarmington check out the website at artsfarmington.org. For more information about the youth concert you can call 778-9437. ArtsFarmington is an affiliate of the Univ. 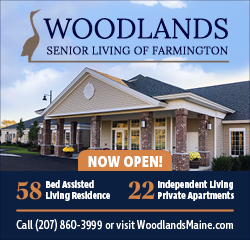 of Maine at Farmington.